Why DB9 male on the device? Hi! It’s really interesting why UAVCAN uses male DB9 connector on the device and not on cable side? Short circuit on power source devices is possible when using male connector if something goes to the connector. 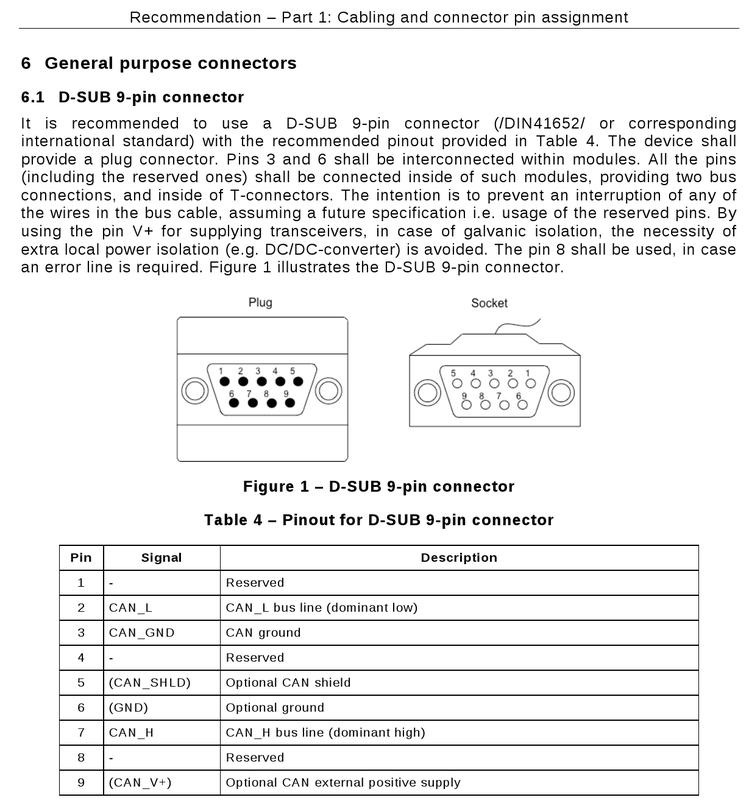 This connector standard is defined to be compatible with CiA 303 part 1 – Cabling and connector pin assignment. Here is a relevant excerpt for reference. Thanks for the info, but they don’t mention reasons. Any ideas about that? I don’t really know that, but it could be that the male pins on cables are more likely to sustain mechanical damage while the cable is not connected. I dont know if that is the reason, but it is the same on RS232 connectors, so maybe it was a compatibility thing ?